This new construction, approximately 2,500 s.f. 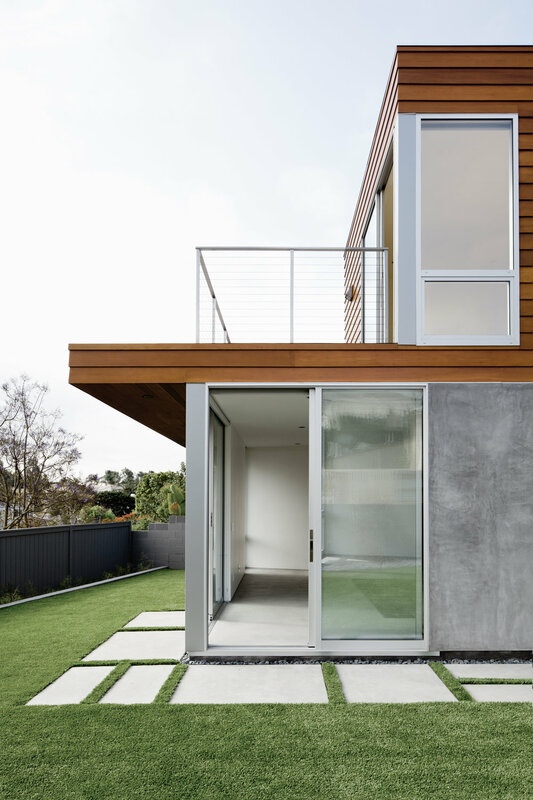 home is placed on a tight infill Manhattan Beach lot. The placement and massing of the house is a response to local zoning codes and internal programmatic needs. We rotated the south wing of the house sixteen degrees towards the San Gabriel Mountains and Downtown LA. This also helped the internal and external spaces feel more dynamic. 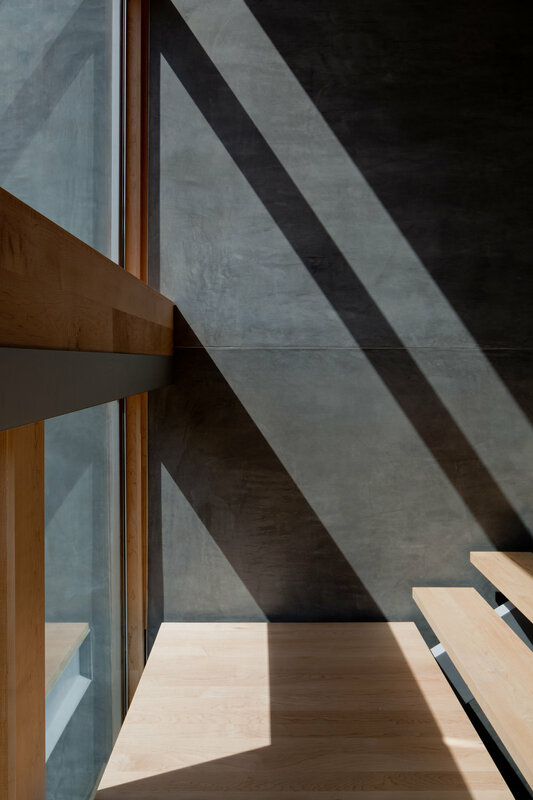 Exterior cement plaster and cedar siding were carried inside to the central stair and circulation space. This was Walker Workshop's first entirely ground-up new construction project and we delivered the project on time and on budget. Project Team: Noah Walker, Morri Freeman, Ted Leviss. Photo Credits: Nicholas Alan Cope.